Philosophical, metaphorical, lyrical, colorful and astonishingly painful, Joker's origin story will send chills down your spine. It’s a downright brilliant trailer for a movie based on DC’s most chaotic supervillain. We have known Joker for creating cold-blooded nuisance across the Gotham City, we have seen him doing everything to destroy Batman’s peace of mind but we have never seen anything like the pain of being left alone in the crowded mess, bullied for his uniqueness, rejected, and a dejected side of the Joker before. Joker, an upcoming American psychological thriller, delves deeper into his life and dissects every nuance that propelled him to become one of the most ruthless supervillains in the DC Universe. Joaquin Phoenix as the Joker looks terrific in the teaser trailer. His mannerisms are relevant to the modern day audience. You could feel the pain hidden behind the smirk. The trailer gives its audiences memorable dialogues like “My mother always tells me to smile and put on a happy face” and "I used to think my life was a tragedy, but now I realise, it’s a comedy" which will give goosebumps and make us think about the life of a person who is mentally unstable. Joker (2019 film) seems like a mental journey of the protagonist before he became the cold-blooded and callous criminal. This standalone Joker film will take the superhero genre to the next level of brilliance. It looks dark, nightmarish and gritty. 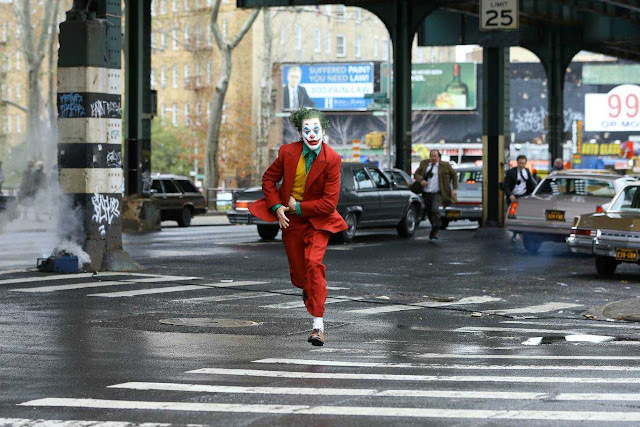 Directed by Todd Phillips, the standalone Joker movie is intended to tell us a provocative tale about the most colorful and iconic supervillains of our times. From exploring the relationship with his mother to fighting mental illness, from maintaining a daily journal to becoming a criminal, the teaser trailer definitely stuns the audience with the other side of the Joker. If darkness is your thing, Joker hitting the theatres on October 4, 2019, will surely tempt your brain to discover the life of a failed stand-up comedian who turns to a life of crime will be something worth the wait.